Creating safe essential oil products for baby since 2009, from our babies to your protection that is safe for baby and the environment. All our Baby Moon products are hand-made with 100% pure therapeutic essential oil. Essential oils work with the body, naturally, the body sees essential oils as organic so allergic reaction are few and far between. Essential oils have been used for centuries and have been proven to work! 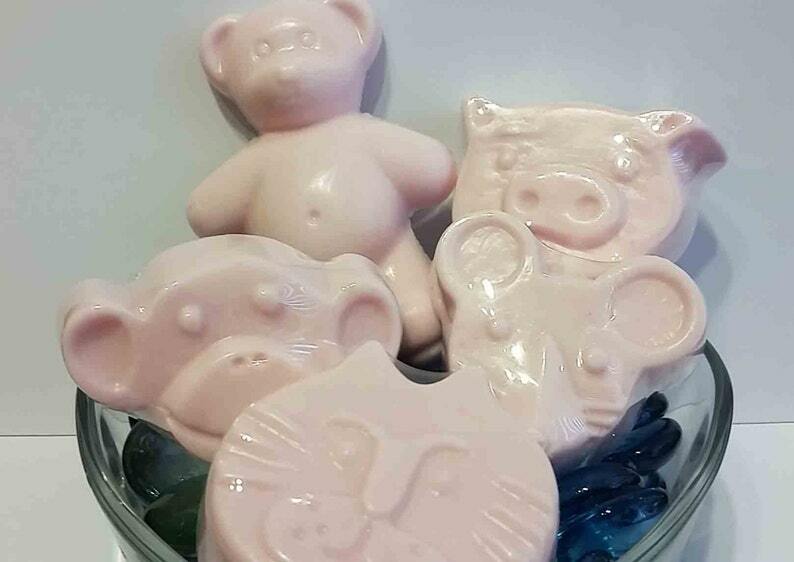 Our bars of glycerin soap is made especially for use on dry, itchy, sensitive skin. Our soaps are non-comedogenic and won't clog pores. We take great pride in creating our products and make everything in small batches to maintain the highest quality and freshness. Our products are enriched with natural kinds of butter & oils including Shea, Cocoa, Avocado Butter, Meadowfoam oil, Vitamin E and all things wonderful for your skin. All of our products are lightly scented, to help keep scent allergies to a minimum and to protect babies sensitive skin and delicate nose. All of our bars produce an abundant lather, bubbles are lots of fun, I have to admit. Add to the fun we also include wonderful light scents. Now you not only have an abundance of lather, but it also smells awesome too, and you get the benefits of the properties from the essential oils. WIN, WIN, WIN.